Year-round, the Florida Keys are blessed with crystal clear water that supports the third largest living barrier coral reef. With an abundance of marine life, the Florida Keys has snorkeling to enthuse all ages and experience levels. Our snorkeling charters are perfect for those looking to experience, up close and personal, the true beauty of the Florida Keys! We strive to make your snorkeling experience truly unforgettable! From individuals to families and everything in-between, our private snorkeling charters will give you the very best experience you’ll find in the Florida Keys! If its your first time snorkeling or want someone to show you around, let one of our in water snorkel guides help you out! Our captains and guides are professional, knowledgable, and safe. Let us show you what we love about snorkeling in the Florida Keys! Ever think about catching dinner, while on a snorkel trip? 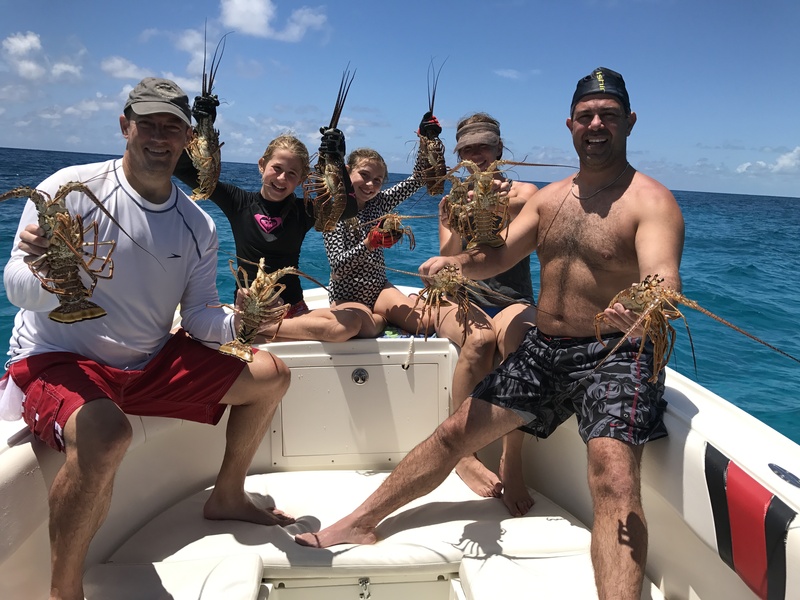 We have all the equipment, permits, and knowledgable to help you find some tasty Florida Keys Spiny Lobster! 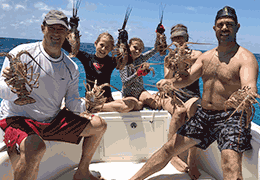 Just mention Lobstering when you book and we will gladly include all of the equipment. $650 half day (4 hours) and $1000 full day (6-8 hours) private snorkel charter up to six passengers. Individual rates are available upon request. Captain, snorkel guide (optional), refreshments, and all equipment will be included. Ready to Book your next Snorkeling Trip? Let Capt. Tony and his crew be your guide to an amazing experience! Call today to book this boat for your next snorkeling charter while in the Florida Keys!